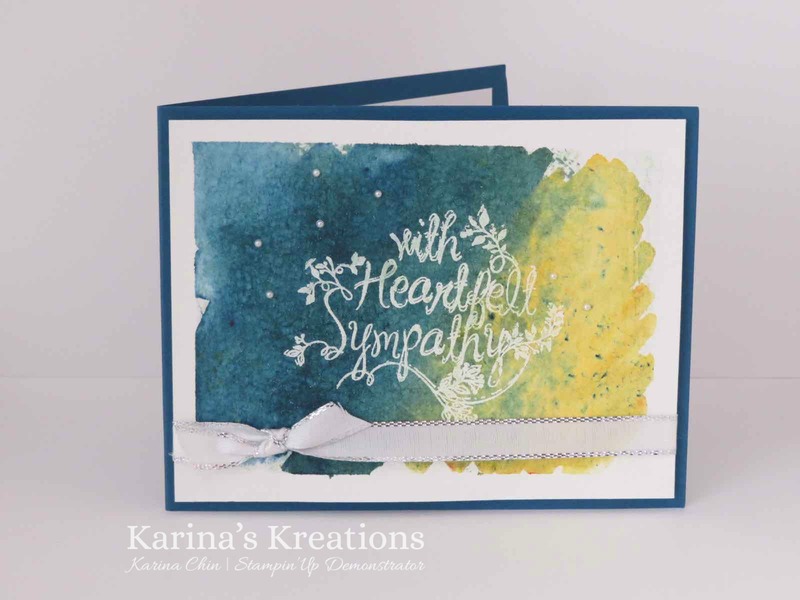 I find Sympathy cards hard to make but I love being able to make a special card for a friend. The Heartfelt stamp set is a beautiful set with sentiments that are perfect for this occasion. I started with a pieces of watercolor paper paper and masked off a section with painters tape. The sentiment was stamped with versamark ink and embossed with Whisper White embossing powder. I covered the watercolor paper with water using my aquapainter and sprinkled on two colors of Brusho Crystal Color. This new product is available on Jan 3 and I highly recommend it. It's easy and fun to play with.